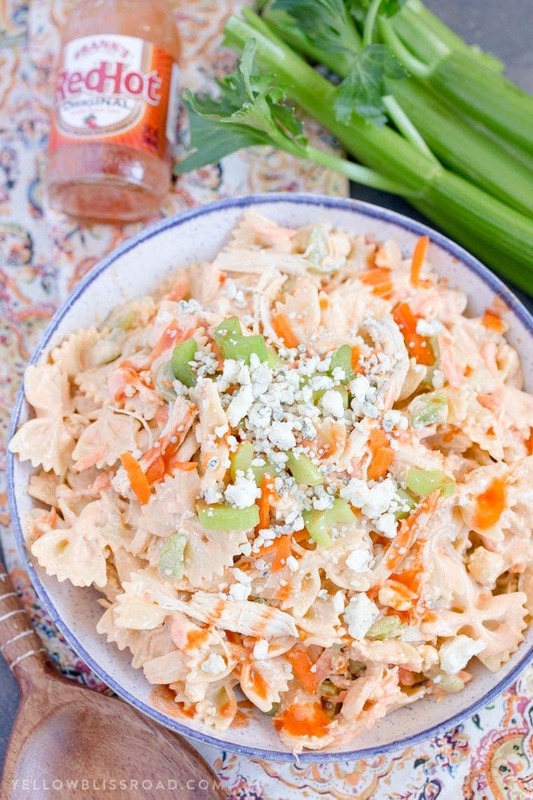 Creamy Ranch dressing and crumbled blue cheese together with spicy buffalo sauce coat your favorite pasta to create this creamy and spicy Buffalo Chicken Pasta Salad. 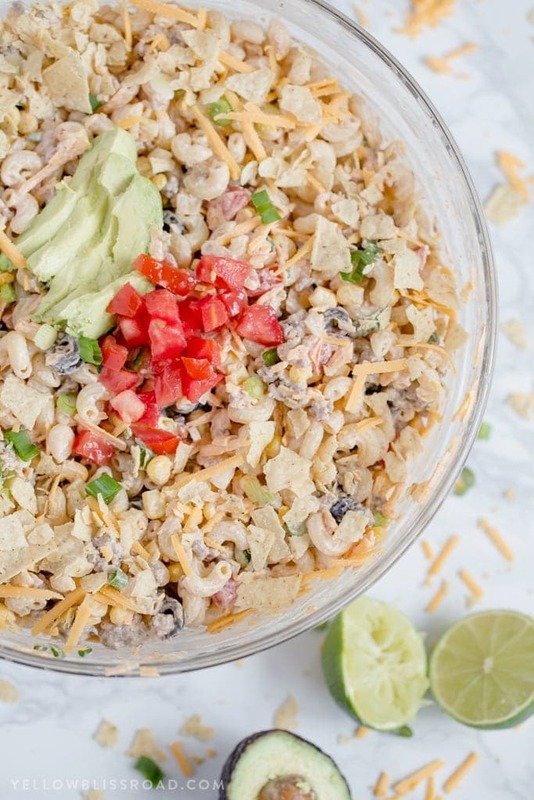 It’s sure to be a crowd-pleaser for summer parties and game day tailgating! 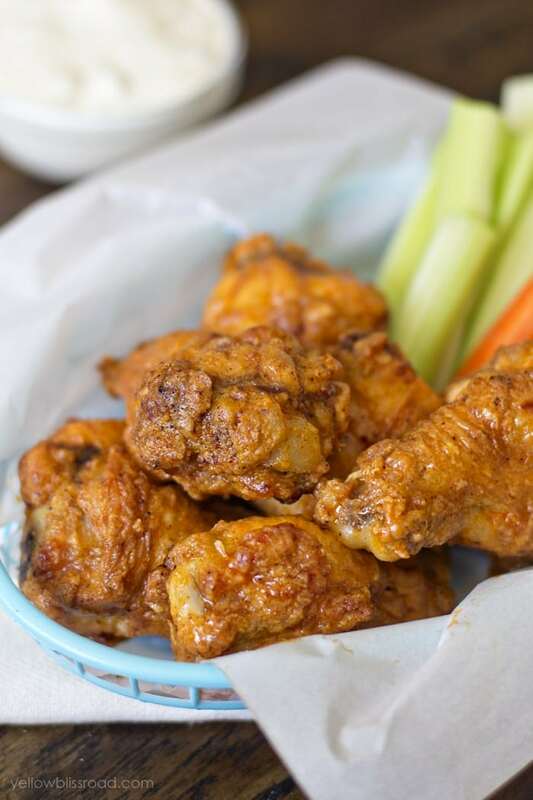 I am a sucker for hot wings, ever since I discovered them at this little local dive back in my early 20s. 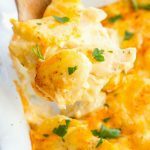 They are total indulgence, greasy, buttery, spicy and topped with cool ranch they are absolute perfection. 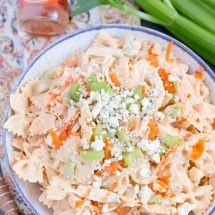 Sometimes they are just a little too rich, but the craving is still there so I created this Buffalo Chicken Pasta Salad. 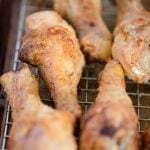 The heat level is fully customizable; you just add as much or as little hot sauce as you want. Or, even better, let your guests add their own hot sauce keeps everyone happy! 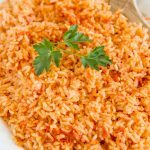 This salad is so easy to make. 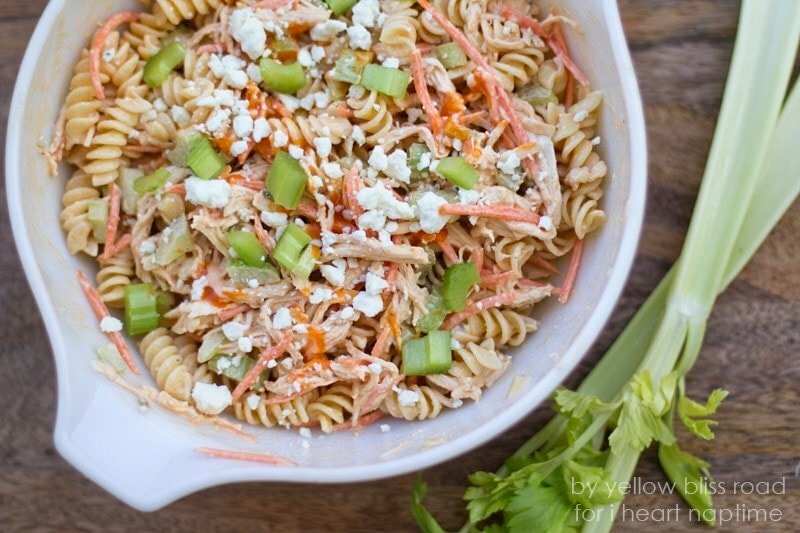 You’ll just need some cooked pasta and shredded chicken, as well as celery and carrots for that cool crunch. 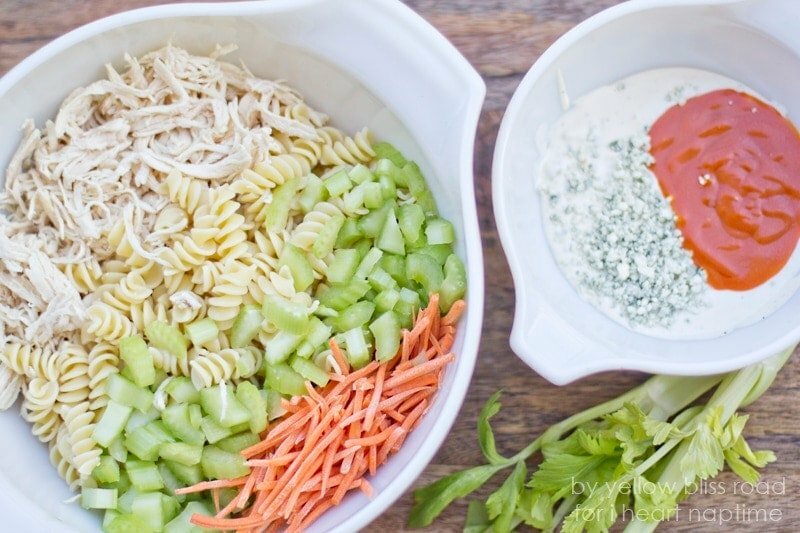 The dressing is so easy because you use bottle Ranch dressing – no need to complicate things, right? For this remake I added some mayo to make it a little more creamy. 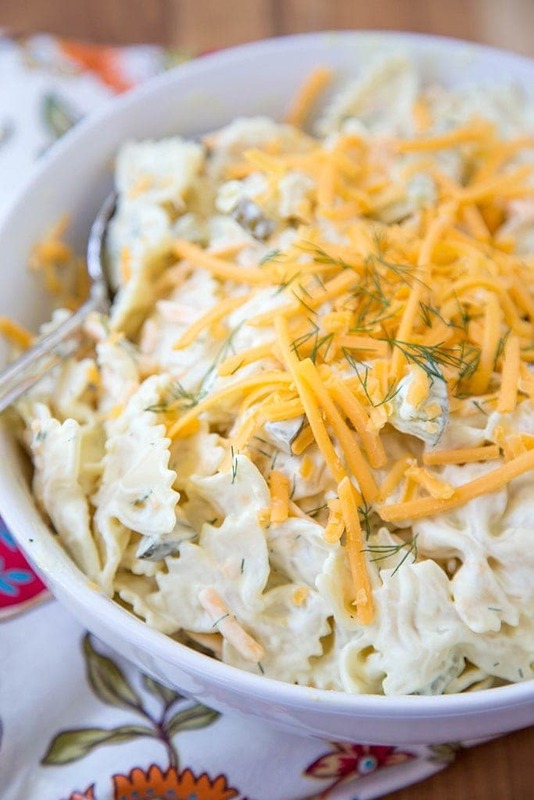 Add in crumbled Blue Cheese and Buffalo Sauce and you’re good to go! 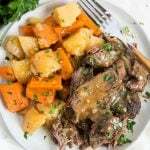 Anytime I can create a fabulous meal without turning on my oven, especially in the middle of summer, I’m all for it. On blazin’ hot days like that my family enjoys quite a few lettuce wraps and salads, like our favorite Bacon Ranch Chicken Pasta Salad or these Lemon Dill Tuna Salad Lettuce Wraps. 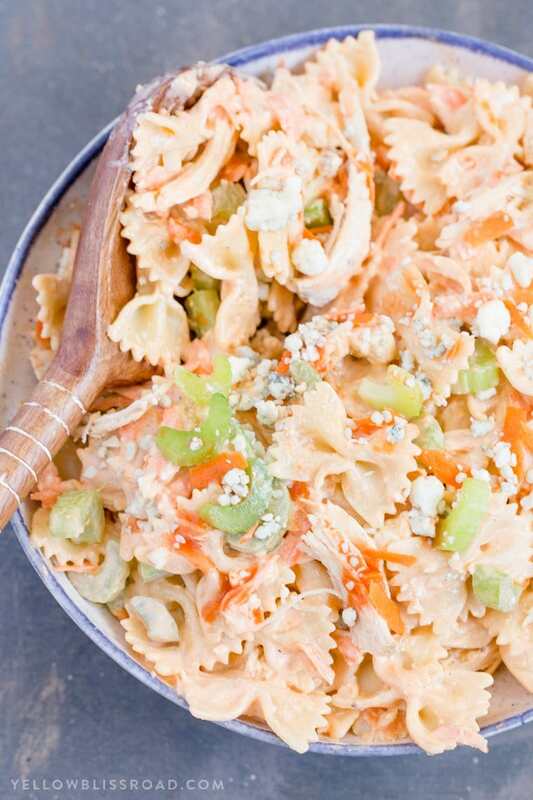 The best part about this Buffalo Chicken Pasta Salad is that you can spice it up or down, depending on your family’s tastes. I know how important it is to satisfy picky eaters – I’ve got two of them! For my daughter, I reserved some of the pasta salad without the sauce and just added ranch. For my son, I mixed up the dressing and poured a little on his salad, then added more hot sauce for me. 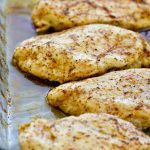 I love dishes that are easy to customize for each member of my picky family! 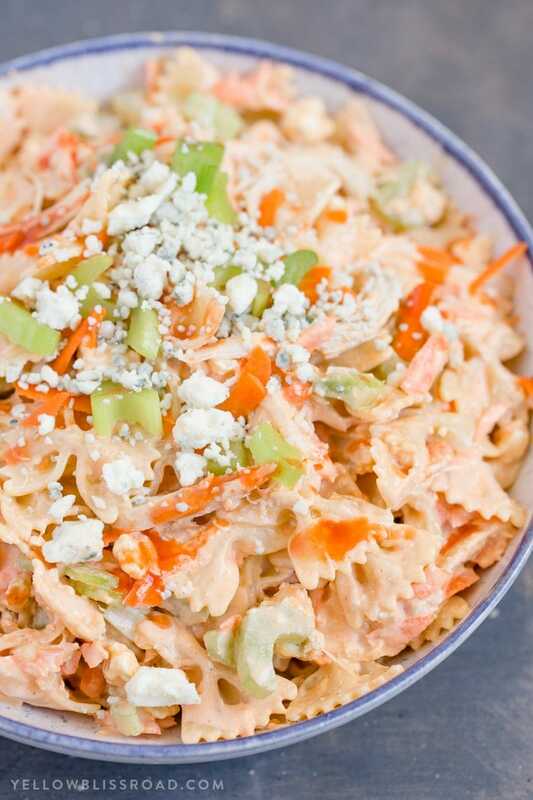 Buffalo Chicken Pasta Salad - Ranch dressing, blue cheese & buffalo sauce with pasta, chicken, celery & carrots. 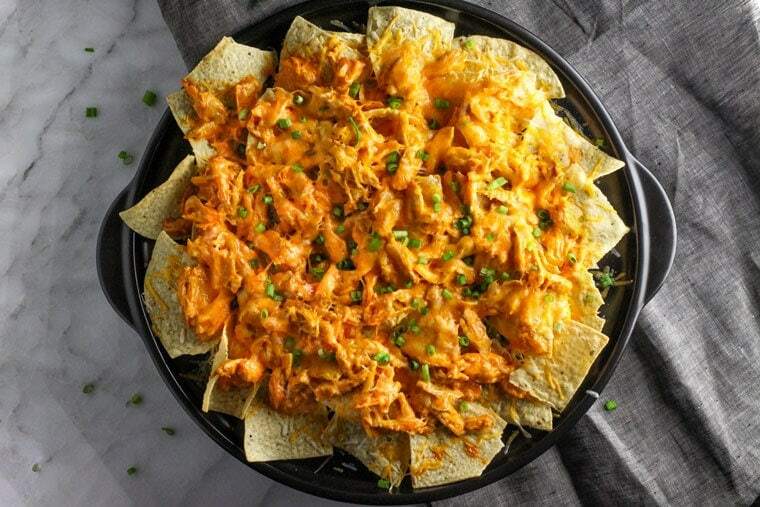 Great for summer parties and fall tailgaiting. 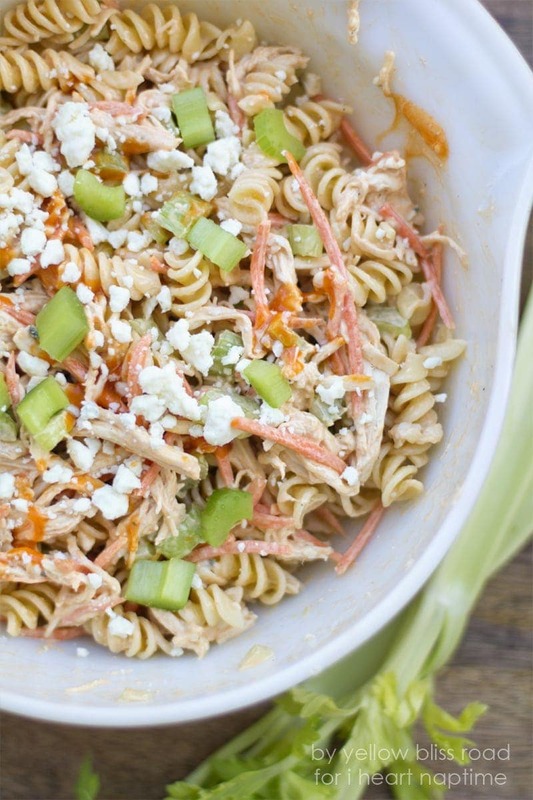 Mix together the ranch, 1/4 cup of blue cheese and the buffalo sauce in a small bowl and set aside. 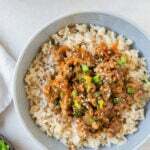 Test the spiciness of the dressing and add more hot sauce to taste. 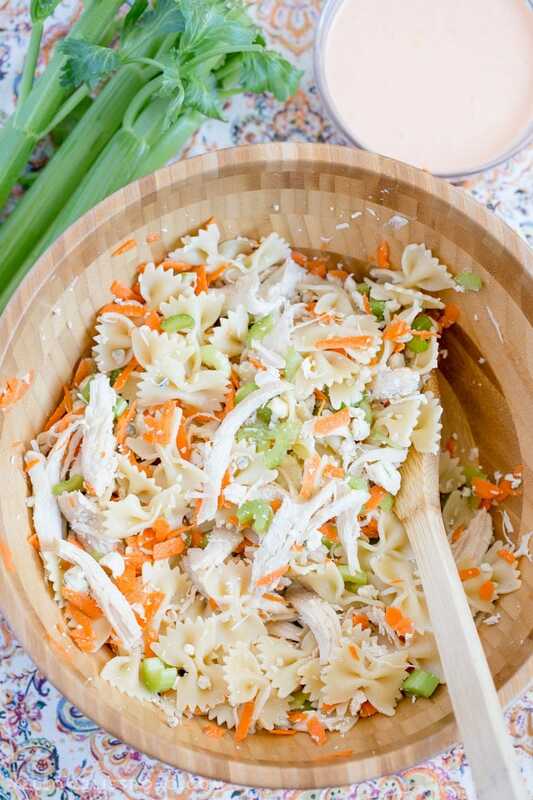 Toss the cooked and cooled pasta, shredded chicken, celery and carrot together in a large bowl. Pour dressing over the pasta and stir until evenly coated. Divide into bowls and serve. This salad is best served chilled. 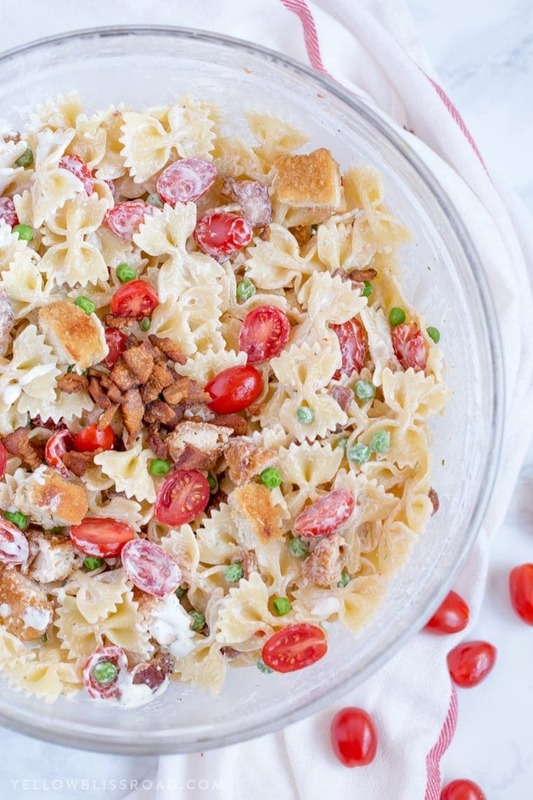 The dressing for this pasta salad is customizable to your taste. My family prefers it less spicy, but if you want more heat, adjust the ratio of Ranch to buffalo sauce until you find the right level. 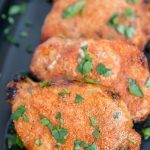 This is also excellent with crispy chicken tenders instead of shredded chicken! 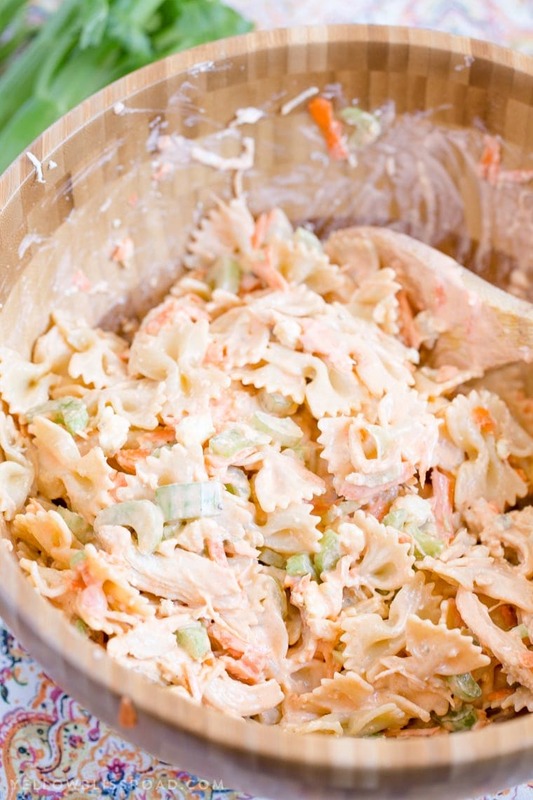 For all Pasta Salads go HERE, for all Salads go HERE and for the Recipe Index go HERE. 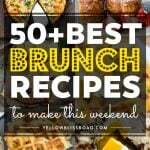 I notice that the recipe calls for Rotini, but your photos all show Bow Tie. Which do you prefer? Oh I just updated the photos and used the bowtie. Any small pasta will work. The rotini grabs the sauce a little better, but the bowtie is prettier, in my opinion.